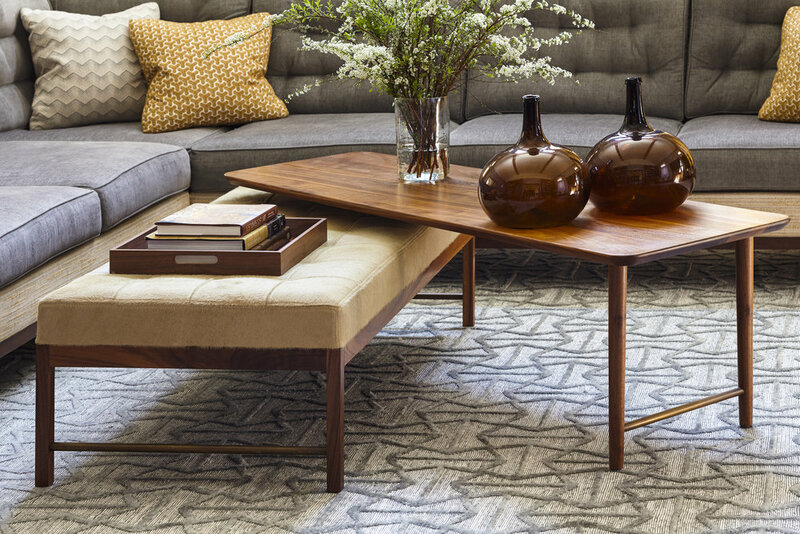 Inspired by Mid-Century Scandinavian design, and handmade in the United States, the Pivot Table with upholstered ottoman was designed for functional sophistication. With conical wood legs and metal rods on stretchers, the Pivot Table fully swivels around the ottoman. Upholstery details, sheen level and size of table are fully customizable. Shown here in natural walnut with brass stretchers and hair on hide upholstery.